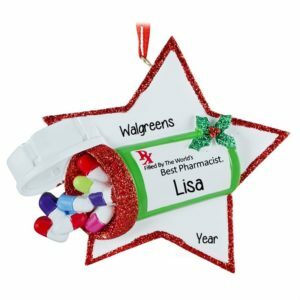 Say thank you to your Pharmacist with a thoughtful gift that remind them year after year how much they are appreciated. 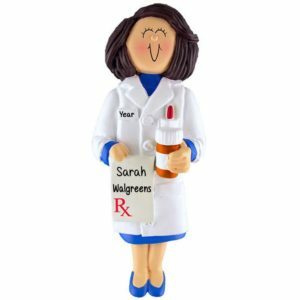 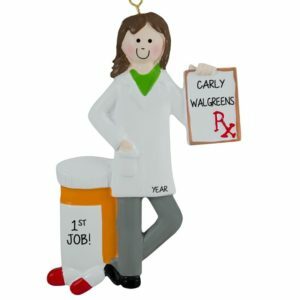 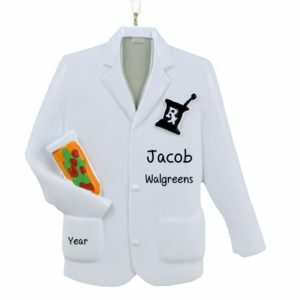 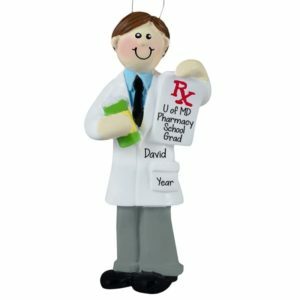 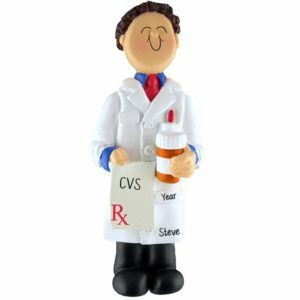 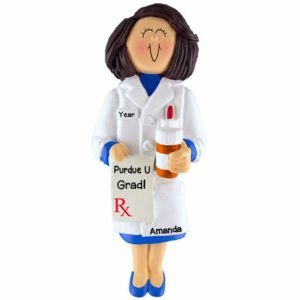 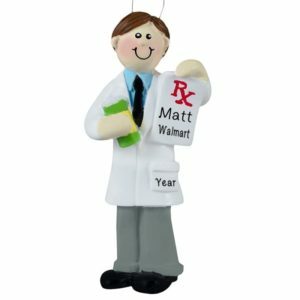 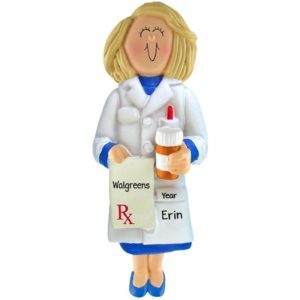 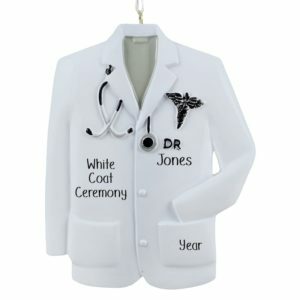 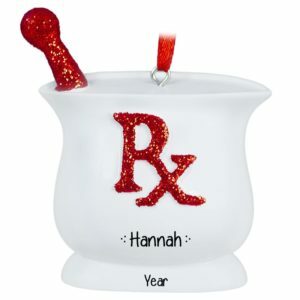 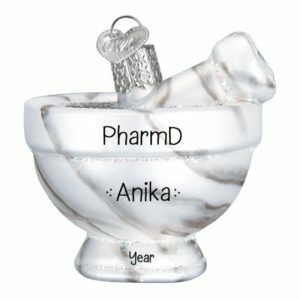 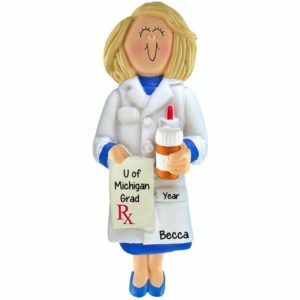 Give your Pharmacist a PRESCRIPTION for a Merry Christmas with an ornament from Personalized Ornaments For You that is hand personalized by one of our talented artist with their name, year, and the name of the pharmacy where they work or the school that they graduated from. We have been told that many of our gift recipients like to hang their unique ornaments in their work stations so that they can enjoy them all the time, not just during Christmas. Don’t forget the Drug Reps! 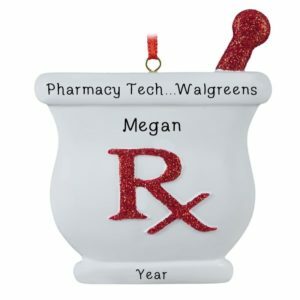 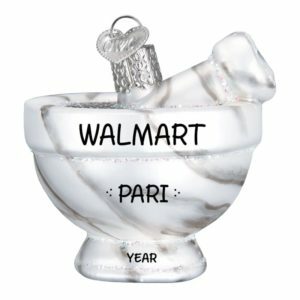 Our ornaments make great office gifts, Secret Santa presents, and gift tag tie-ons. We gladly accept large custom orders and will be happy to work one on one with you to discuss style and pricing. 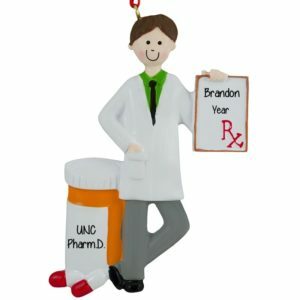 Contact our customer service department for details.